The Wink Bingo app offers an entertainment experience worthy of your time. 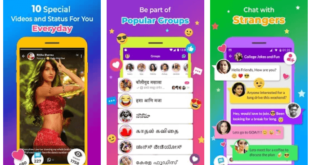 Developed by Cassava Enterprises (Gibraltar) Ltd, this app packs plenty of entertainment into a high-tech platform. The app was updated on the 13 July 2014 and now features multiple bug fixes. Players can easily download the 3.9 MB app and start playing a variety of bingo games, slots games and progressive jackpot games. To download the app, players need to be at least 17 years old. But if you’re thinking of playing for real money, the minimum age requirement is 18. The WinkBingo app requires iOS version 6.0 or later and it’s fully compatible with iPod Touch, iPad and iPhone devices. This present version has been optimized for iPhone 5 but it will work flawlessly on iPhone 6 too. There are several nifty features on the new Wink Bingo app including a handsome welcome bonus for newbies and more gaming variety to enjoy. Bingo is one of the most competitive industries on the Internet and cyberspace is peppered with loads of gaming variety. Wink Bingo has long since established itself as one of the leading online bingo rooms. They’ve transcribed that pursuit of excellence into their mobile gaming platform and the end result is a win-win. The range of available games is certainly impressive and includes the likes of 75 ball bingo and 90 ball bingo. Besides these popular variants, there are also guaranteed jackpot games and progressive jackpot games too. With so many available bingo rooms, there’s never a dull moment with the Wink Bingo app. Players can easily pre-buy tickets to any of the listed bingo games to ensure they never have to miss out on any of them. 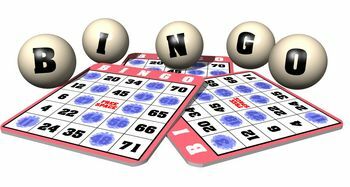 Besides for bingo games, there are also several other games available including slots. Among the many top titles are Shaman’s Dream, Fluffy Favourites, Temple of Isis, Poseidon, The Slots, Gold Rush and Filthy Rich. These slots games offer a great degree of gaming realism and they’re available directly from your mobile smartphone or tablet in HD. The registration process is fairly straightforward with the Wink Bingo app. If you’ve already registered with the standard PC platform, you simply use the same username and password combination. As a new player, you’re privy to a generous welcome bonus made up of £35 FREE off an initial deposit of £10. This bonus cash can be used on a wide variety of games. There are scores of other promotional offers available, and they can all be accessed directly from the website. Best of all you can download and install the Wink Bingo app for free. There are no hidden fees or user charges – you can enjoy real money gaming and real bonuses when you play at Wink Bingo. The 200% welcome bonus is available to all new players making their first deposit, but withdrawals will have to be made via the website.